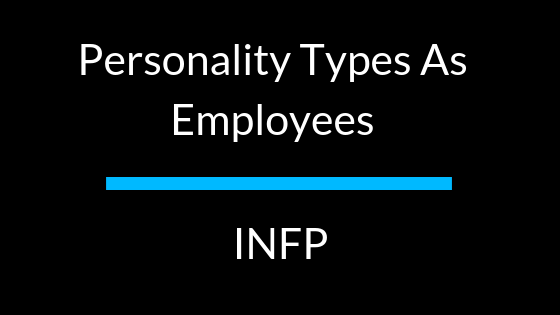 Today’s dive into Myers-Briggs personality types are creative, idealistic, and driven INFP. Otherwise known as “The Mediators,” this personality type is estimated to account for about four percent of the United States population. INFP’s are Introverted, iNtuition, Feeling, Perceiving. They are often quiet and reserved, and tend to feel drained being in social situations. Instead, they prefer to interact with a close group of friends. Even so, they are warm, caring individuals and are interested in other people. INFP’s often have strong written communication skills and prefer to work alone. They also tend to run into the issue of taking their career and job duties personally. If they don’t feel like the task or job is worth doing, they don’t see the point in really doing it. This has a significant effect on how they both respond to and express authority. While the way their personality type is displayed depending upon their position, across the board, they need some sort of moral or emotional connection to their work and value harmony. Rather than being told to work on and complete a task and move on to another, Mediators thrive on immersing themselves in a task or project, whether alone or with a small group of people. Because they are the type to need some sort of emotional connection to the work they do, they are not looking for tasks that are easy and menial. Instead, they want the ability to think about the work they are doing and find some meaning in it. Managers that can frame responsibilities assigned to Mediators concerning emotional merit rather than a rationalized business perspective will find considerate and dedicated employees. While they may not always work well in technical situations where critique is typically required, and logic and facts are necessary, they excel in working with people and following through with creative endeavors. There are some types of this personality that will respond well to negative feedback to improve upon their skills and strive not to make the same mistake twice (this is especially prevalent in individuals that are in the Analyst Role group). Most often though, they prefer to hear what they did right so they can focus on what to do versus what not to do.